We built Ajax from scratch by combining previously non-existent technology with functional design, while using the best components available. This uncompromising approach made it possible to create a user-friendly security system that has proved its reliability to top professionals. The Ajax app turns your security system into one easy-to-manage device. Arm Ajax with a few taps. Switch on appliances before you get home. Get instant notifications through SwiftAlerts, a protocol that even modern messengers should envy. Ajax detectors accurately determine when an intrusion has occurred and filters false alarms. This is made possible due to the SmartDetect digital algorithm and multi factor detection models. Ajax quickly recognizes the first signs of a fire: smoke or sharply increased temperature when the fire is burning without smoke. Additionally, the CO detector sends an alarm before carbon monoxide levels become life-threatening. Ajax sends an alert at the first sign of moisture and cancels it as soon as the water dries. Detectors are designed to operate in tough conditions to prevent water damage: they are corrosion-resistant and protected from dust and moisture ingress. With Ajax, houses and offices get smarter. Adjust climate control and lighting, turn on everyday appliances and open the front door with a few taps on your smartphone. By integrating surveillance cameras into the Ajax system, you can see what's happening at home right on your smartphone. When an alert arrives and you want to double check to make sure everything's okay— just open the mobile app. Ajax was created to be practical. Installation requires a smartphone, basic tools and minimal time. This makes the system useful for both homeowners and renters, since the system can move with you to a new home. 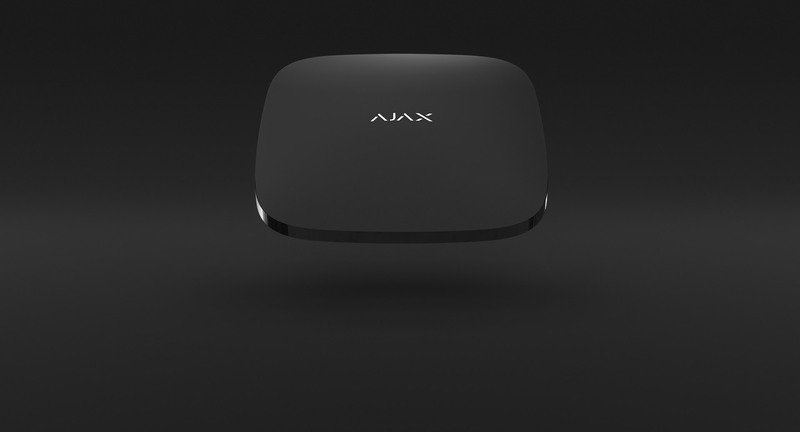 Unlike most security systems, Ajax is ready to protect against the unforeseen. If something goes wrong, you will know about it. Ajax maintains a constant connection with the cloud server. The system sends operation and incident reports to the owner's smartphone. Ajax is directly connected to the security company’s console and sends alarms to the owner’s phone and to the security company simultaneously. Ajax works together with 500 private companies throughout the world. After connecting the system to a central monitoring station, owners continue to receive notifications while alarm responses are left to the professionals.